Vista Gold announced that the fine grinding tests on 470 kilograms of samples from its Mt Todd gold project are complete. 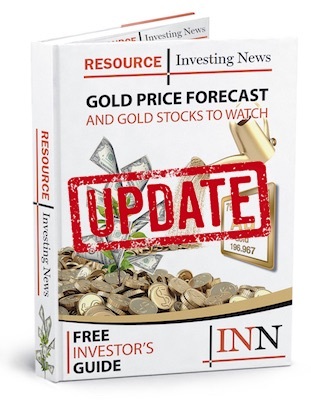 Vista Gold Corp. (TSX:VGZ, NYSE American:VGZ) announced that the fine grinding tests on 470 kilograms of samples from its Mt Todd gold project are complete and that the final products are being returned to Denver for leach recovery testing. The preliminary grinding test results confirm the results of previous tests, which indicated that the power required to achieve a target grind size of 38-45 microns is less than was estimated in the 2018 updated preliminary feasibility study. The completion of the grinding tests on samples with average grades ranging from 0.8 to 1.7 grams gold per tonne now allows us to complete leach recovery testing as the last phase of this comprehensive testing program. With the results of these grinding tests, we have a significant amount of data for ongoing and future evaluations of both the IsaMill and VXP stirred-media mills. The tests at both laboratories confirm lower anticipated power requirements and provide the basis for a favorable adjustment in our project evaluation. With the anticipated completion of the leach recovery tests in the next month, we expect to generate grind-size leach recovery curves covering a wide range of potential ore feed grades. The relationship between the grind-size and gold recovery on Mt Todd samples is well established. We expect the leach recovery tests to confirm the results of the testing work announced in August 2018. We have commenced an update of the Mt Todd technical report and plan to incorporate these test results into a new report presently scheduled for completion prior to the end of the second quarter 2019. Click here to read the whole Vista Gold (TSX:VGZ, NYSE American:VGZ) press release.